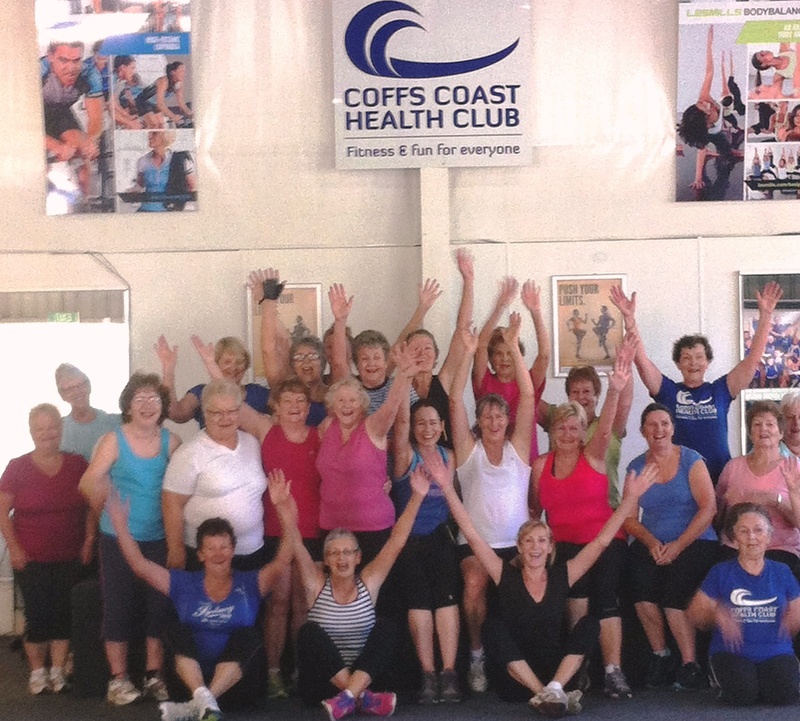 Introducing Coffs Coast MedFit Our Most Exciting Healthcare Initiative Yet . 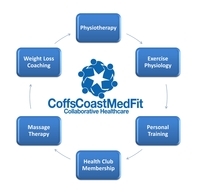 Coffs Coast MedFit is the first and only Medical Fitness Facility in the region. It is the one stop shop for you to access the highest quality healthcare professionals on the Coffs Coast. This new healthcare collaboration provides the seamless integration of Physiotherapy, Exercise Physiology, Personal Training, Massage Therapy and Weight Loss services by trained local professionals working together for your benefit. No more travelling around the countryside to keep yourself in tip top shape, its now all under the one roof for you. Aaron Hardaker from Mid North Coast Physiotherapy kicks off the Physiotherapy services on Monday 9th June but has already started taking bookings on 1300 273 747 from those inquisitive souls that have been watching the new MedFit office fit-out at reception. 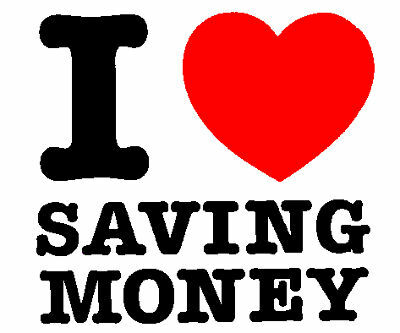 Anyone can book in via referral or directly without referral. Physiotherapy and Exercise Physiology Services are also registered with Medicare, WorkCover, Department of Veteran’s Affairs, Private Health Funds and eligible clients are able to have their payments rebated. Talk to your trainer or reception about your needs and they can point you in the right direction. Exciting hey!!! Sadly our member and dear friend Shaley Wilmen, whose accident and subsequent recovery was featured in last month’s enews, passed away due to the injuries that she sustained in the car accident. 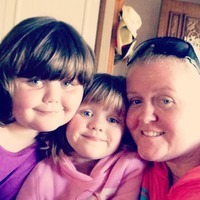 Shaley is survived by her two precious little girls Bella and Mia. Our fundraising efforts for Shaley and her family have been huge and we would like to thank everyone in our fabulous community for their generosity. Thank you for donating items for the raffle, for donating items for the online auction, for buying raffle tickets, for donating money online or at the club, for donating Kmart gift vouchers, for buying items in the online auction and for participating in the ‘Sweat for Shaley’ day. Through all of our efforts we have raised around $19,000 for the futures of Bella and Mia. This money will assist Shaley’s parents in the ongoing care of the girls and the family thank each and every one of you from the bottom of their hearts. It is so beautiful to know that our community can be so generous and loving towards those in need. We have been running health clubs for the past 18 years and it has truly been the most inspiring and moving experience we have ever been involved in. Shaley is an amazing person and our support of the family will continue. Call now on 6658 6222 or email neil@coffscoasthc.com.au to book in and get started as we only have 50 of these special offer memberships available. entirely carbohydrates and only satisfies your hunger for about 30 minutes to an hour. The result of eating these snacks is a rush of blood sugar followed by a rebound effect where blood sugar drops quickly, which actually stimulates food or sweet cravings. 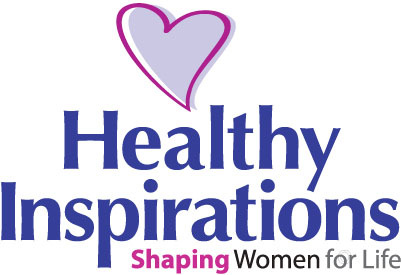 Healthy Inspirations offers a wide variety of snack foods which are made up of a careful balance of protein, carbohydrates and fat to help stabilize your blood sugar and avoid sweet cravings. They will keep you feeling satisfied between meals, prevent hunger and help you to continue making smart eating choices. To sample some of our nutritious snacks, just ask Leslie and Simone in the Healthy Inspirations Office for a sample. Circuit is a fantastic group exercise class held in our Boxing studio. Circuit is a total body strength and fitness class that includes boxing, TRX suspension training, plyometrics, weights and plenty of variety while burning maximum calories. It is on our timetable on Monday night at 6.30pm, Wednesday night at 6.30pm and Thursday mornings at 9.30am. All exercises can be catered to your needs and you can work at the level that suits you best. These classes are all taught by personal trainers and they are a great way to ease yourself into group fitness or to push your fitness limits. Why not give one a try this week? Only 12 more sleeps until the next course starts! Get qualified and learn in the regions most awarded health club, from the regions most experienced personal tra iners. Our very own Steve Marquette and Tracy Welsh are taking applications right now and with ONLY 3 spots left in the June course, your time is running out to turn your dream into reality. Put some Soul into your Sole this month by creating very happy feet at our Foot Reflexology sessions with our resident Massage Therapist Angela Hernandez. Reflexology is the application of pressure onto particular areas of the soles of the feet. A reflex action in another part of the body is stimulated by the manipulation of each specific area. ~ It can relieve pain and stiffness caused by too much exercising or using muscles for too long. ~ It can help prevent and cure many symptoms such as headache, stress, asthma, constipation, sinusitis and migraine. ~ It can boost the blood circulatory system. ~ It can create harmony and balance throughout the entire body. Bookings essential by calling reception on 66586222 as places are limited. Bring a friend, towel, bowl and facewasher. If you are aged between 25 and 65 and suffer from bloating, you are invited to participate in an 8 week study being conducted through Coffs Coast Health Club. The aim of the study is to compare the effects of a nutrient-dense diet alone, with a nutrient-dense diet plus exercise, on bloating and waist circumference. The diet is formulated by a dietitian and based on whole foods available in any supermarket. Participants are supported with individual nutrition-coaching. Participants electing to be in the group which includes exercise will participate in at least one supervised session per week, one on one with a Personal Trainer or in a group with other study participants. All program materials (menus, recipes and educational resources) are provided. The cost of participation in the study is $29 per week diet only, or $35 per week diet and exercise program for the 8 week period. The study will be conducted in June and July, 2014. The results will be compiled after September 2014 through a separate organization. As there are only 60 participants wanted it is imperative that you register quickly. For registration & information call Simone, Leslie or Jacqui on 6658 6222 or drop in to the Healthy Inspirations Office in front of the treadmills. The fight for the Champions Trophy & FREE Membership is on like Donkey Kong in the 2014 Members NRL Tipping Competition. After only 11 rounds and with still plenty more remaining, the current top tippers are killing it! 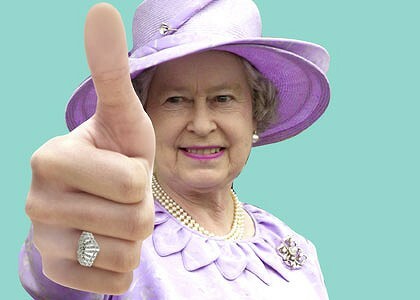 Enjoy your Queen’s Birthday Public Holiday, experience the great outdoors & spend some quality time with quality people on Monday 9th June, as the gym we will be closed. However there are no excuses for missing your workout on Sunday 8th June between 3.00pm – 6.00pm or Tuesday 10th June between 5.30am – 8.00pm as we will be OPEN again and fully operational with all classes and childminding. Visit http://www.coffscoasthc.com.au for more information on membership, personal training, weight loss, massage therapy, rehabilitation, group exercise, childminding, privileges card & fitness careers or call us on 6658 6222 for more help. This is our 5th year being involved in NSW Seniors Week celebrations. FREE entry into our Seniors Week Raffle to win 3 months membership and a 60 minute massage. One ticket per person can be collected during week from Reception. 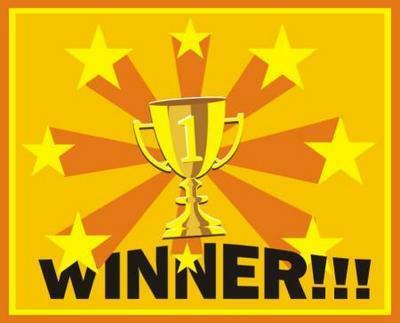 Raffle will be drawn at the Seminar – be there to win! Call Jacqui on 66586222 for more information! Menopause and weight gain. Do they always have to go hand in hand? It may seem that way, especially because gaining weight is so common after menopause. 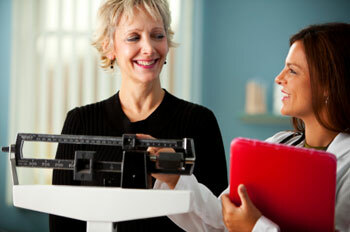 In fact, about 30% of women aged 50 to 59 are not just overweight, but obese. Here’s what you need to know about the risks of weight gain and how exercise can help you lose weight and keep it off after menopause. Many of the risks of weight gain are well known: high blood pressure, heart disease, and diabetes, to name a few. Extra fat at your waistline increases these risks still more. Unfortunately, a bigger waistline is more likely after menopause. If you now have a waist measurement of more than 35 inches — it’s time to take steps to reverse this trend. The impact of estrogen. In animal studies, estrogen appears to help regulate body weight. With lower estrogen levels, lab animals tend to eat more and be less physically active. 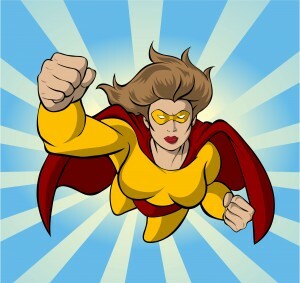 Reduced estrogen may also lower metabolic rate, the rate at which the body converts stored energy into working energy. It is possible the same thing happens with women when estrogen levels decrease after menopause. In fact, some evidence suggests that estrogen hormone therapy increases a woman’s resting metabolic rate. This might help slow weight gain. Lack of estrogen may also cause the body to use starches and glucose less effectively (insulin resistance), thus increasing fat storage and making it more difficult to lose weight. Your aerobic capacity declines. This is the rate at which you can use up energy during exercise. To use the same energy as in the past and achieve weight loss, you may need to increase the amount of time and intensity you’re exercising, no matter what your past activity levels were. Exercise is effective at influencing the levels of total body fat and abdominal fat. The more active you are, the less weight you are likely to gain. A National Institutes of Health review showed that people who participated in aerobic activities every day for 10 or more minutes had 6 fewer inches around the waistline compared to people who did not exercise. And, exercising while you’re in the process of losing weight — as well as after you’ve lost it — may be critical to maintaining weight loss. Strength training or a weight resistance exercise program helps build muscle mass and improve metabolism. Strength training also helps maintain bone mass. Because you lose muscle mass as you age, add this to your workouts, if you haven’t before. Try doing this two or three times a week. Examples of strength training include weight machines, dumbbells, exercise bands, yoga, and gardening. Talk to your doctor about a new exercise program. Choose activities you enjoy so you’ll stick with your workouts. Buy supportive shoes — the right ones for your activity. 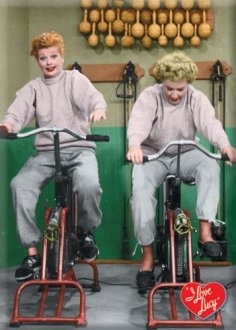 Allow at least 10 minutes to warm up before starting to exercise rigorously. To do this, choose an activity that gently works major muscles. Mix it up. Do different exercises to keep from getting bored and keep your body challenged. Keep a food diary or explore programs for your computer or apps for your cellphone to help you monitor your caloric intake. You are currently browsing the archives for the meopause category.